The "Brother" author had to reinvent his writing process to battle the noise of day-to-day life. Leading up to Canada Reads, CBC Arts is bringing you daily essays about where this year's authors write. This edition features Brother author David Chariandy. In the past, I could write almost anywhere: cafes, buses, food courts, even hospitals. I could also write at any time, including late at night — any moment stolen from work, parenting and a very modest social life. But something's changed in the last ten years or so. I've become acutely sensitive to people speaking around me. In cafes, I can't help but hear and mouth silently the lyrics of the most stupid pop songs. The problem is not only my growing vulnerability to the spoken word, but also my shrinking window of meaningful brain time. These days, I can do very little writing after 6:00 pm. If I try to compose or edit in the evenings, I run the risk of despairing and perhaps deleting or destroying whatever small work I've earlier accomplished. So I've come up with a new strategy. These days, I go to bed early — even earlier than my kids — and set my alarm for 5:00 am, sometimes 4:30 when I can manage it. In the dark and quiet of the early morning, I brew coffee, eat something that pops out of a toaster and work in a cone of light at the dining room table. I've never before been a "morning person," and I've read somewhere about a scientist who claims to have established that people can't alter their lifelong rhythms of sleep and wakefulness. But the morning is now my only reliably free time. And I think it works for me. I'm most optimistic and coherent. My memory is best, and, contradictorily, I'm also in closest proximity to dreams — which I rarely remember in lucid detail, but which I somehow feel and channel in my work. I've heard of others who write in the early morning. I've read somewhere that Toni Morrison resorted to this, mostly because of work but also heightened parenting demands. I've also read that Michael Ondaatje prefers mornings. The trick for me (and no doubt others) is that I don't actually get an enormous amount of time to work, and no real chance to imaginatively tarry or "warm up." I try to ignore the clock for as long as possible. After an hour or so, my partner will join me at the table, where we may engage in mutual shushing. Eventually, my youngest kid gets up, and my teenager, predictably, at the last possible moment. It's now 7:30, and I have to break away from writing, regardless of whether it's miraculously going well. The reign of day has started, and there are assorted urgent tasks: fixing breakfast, packing lunches, showering, dressing and getting the whole family out the door. Most writers have a day job of some sort, and mine is teaching. It's an enormous privilege to teach, especially when full-time and stable positions in the academy have become a most disgraceful rarity. I learn so much from my students. But even this blessing comes with real costs to my lifelong passion for writing. Teaching, research and service in the academy can utterly swallow your days, leaving you not only with no free time in the midst of eternally pressing urgencies; and this work can also drain you of imaginative and emotional energy. If I'm not teaching an evening class, I try to wrest myself away from duties in the afternoon, and make my way home to help with after school activities, to shop and prepare dinner, and to eat with my family whenever possible. By the evening, the kitchen is less of a disaster, and I have just enough energy to accomplish minor postponed duties, to read a bit and to perhaps, very grudgingly, answer more emails. My hope is now fastened upon the upcoming early morning. That's the romance and adventure of the writing life, at least for me. Sometimes, though, on the days when I'm not actually lecturing, I get a special treat. I became both a reader and a writer through the love and support of parents who themselves didn't have access to the world of books. But I also, in part, became who I am through the resources and space provided by public libraries. To this day, I still long to sit in public libraries. When I get the chance, I'll walk to one of two branches in Vancouver and score a seat. Here, I have everything I need: light, water, a bathroom and quiet — but not too much quiet, inspiring social quiet. I love seeing the stacks of books around me, and also the people, all reading or working, people of many different backgrounds and experiences, including the acutely vulnerable of our often failing cities. 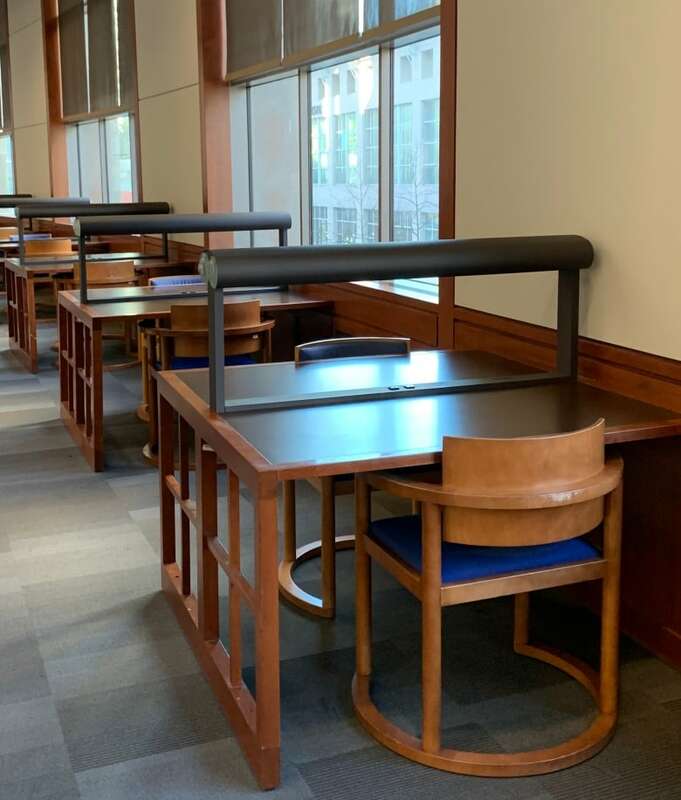 Borges once wrote, "I have always imagined that Paradise will be a kind of library." And I get that. I honestly can't think of anything better than to be able to read and work for unrestricted hours in such a space. But I also think that what's great about a public library is that it reminds me that I haven't at all entered Paradise, but am still very much within the world. David Chariandy grew up in Toronto and lives and teaches in Vancouver. His debut novel, Soucouyant, received stunning reviews and recognition from eleven literary awards juries. 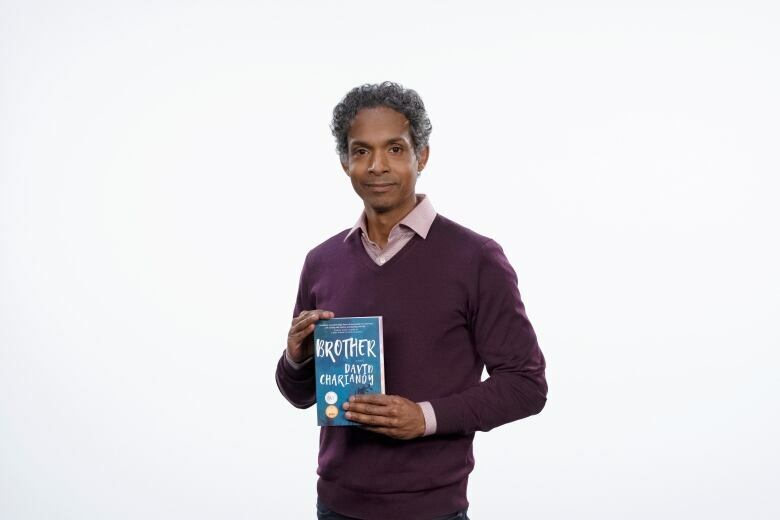 Brother, his second novel, received rave reviews, was named a Best Book of 2017 on no fewer than eight lists, and won the Rogers Writers' Trust Fiction Prize.